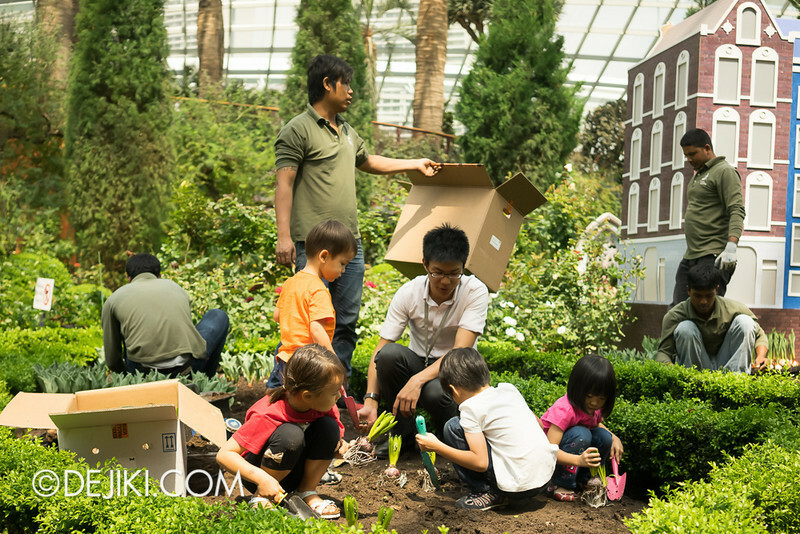 Gardens by the Bay’s popular tulip extravaganza, Tulipmania will be back… in just a week! 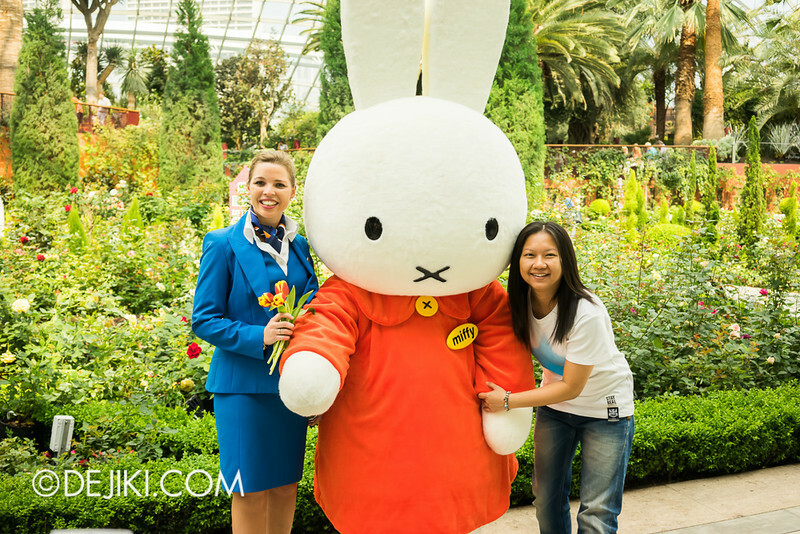 Have a peek behind the scenes and meet Miffy – this year’s special guest. 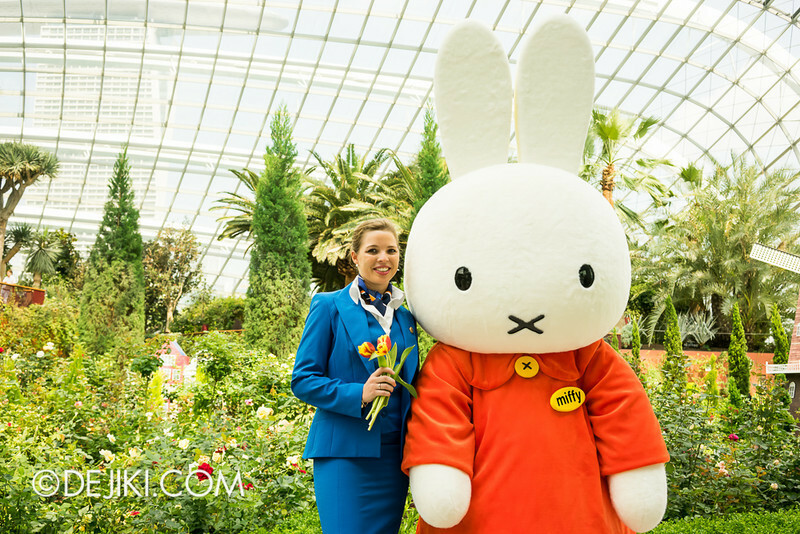 The iconic Dutch bunny, Miffy, is now in Singapore to celebrate Tulipmania. 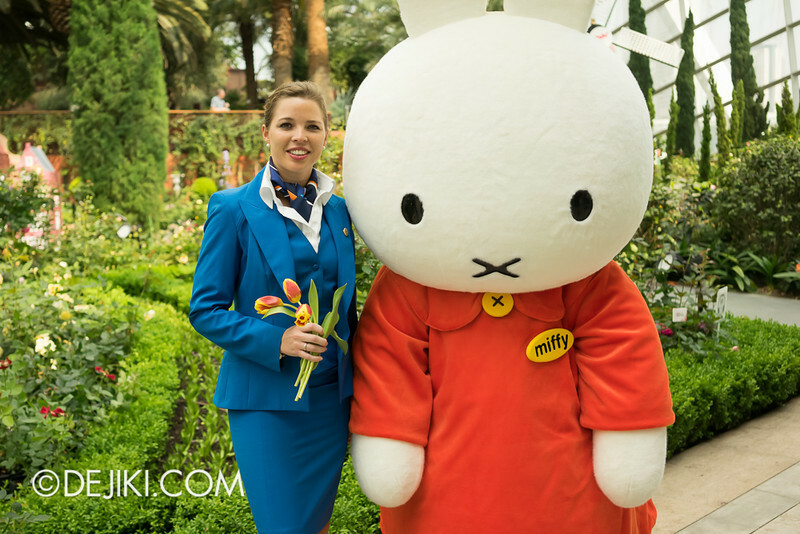 Miffy is accompanied with a Flight Stewardess from KLM (Royal Dutch Airlines). 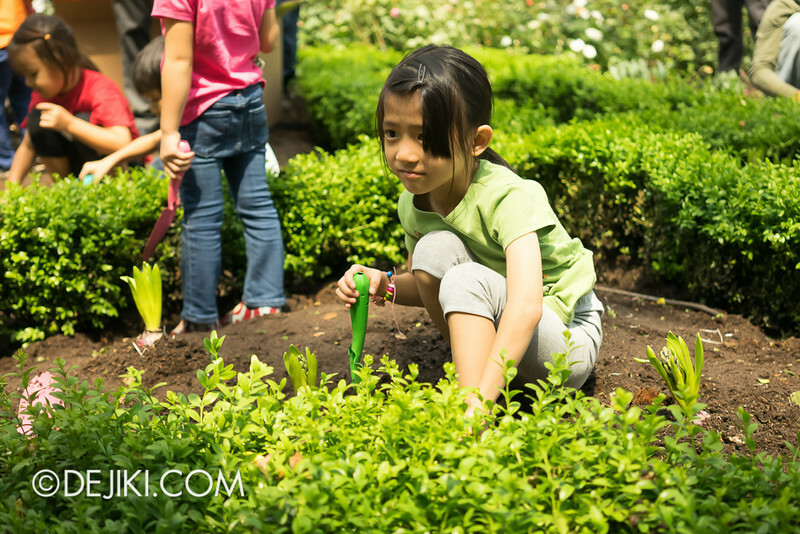 *Depending on where these events are held, admission charges may apply. 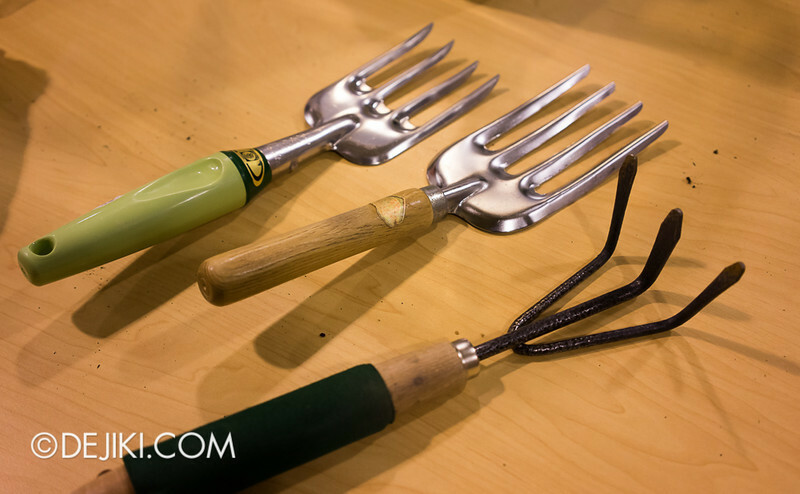 Be ready for long lines and crowds! 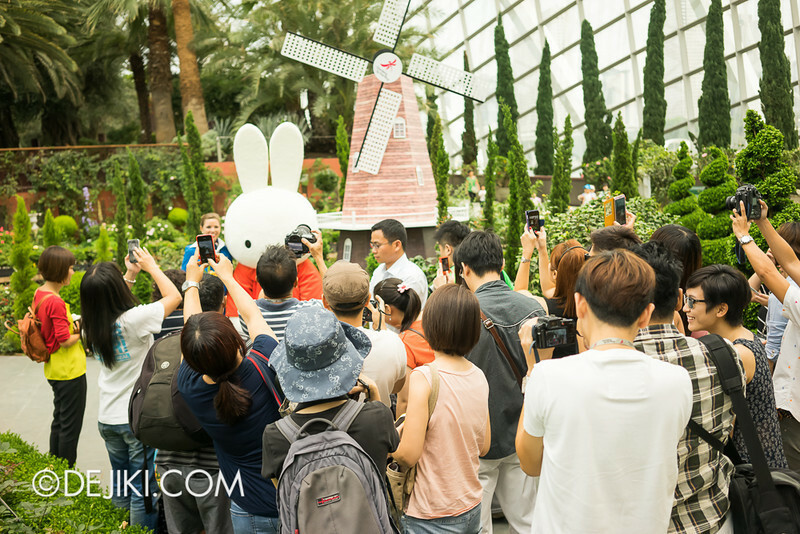 Even in a somewhat controlled environment at the Flower Dome, people are just too excited to see Miffy. 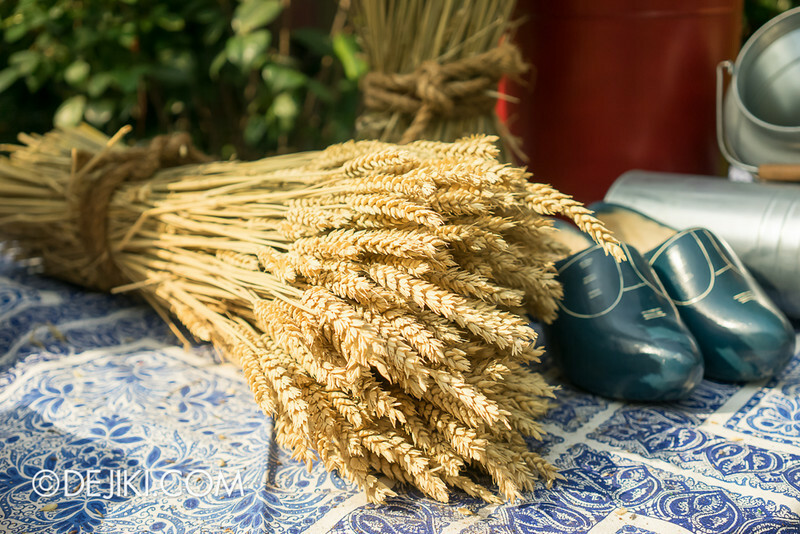 (Hmm, perhaps some of that famous USS guest-wrangling tactics may be in order). Anyway, back to Tulipmania. 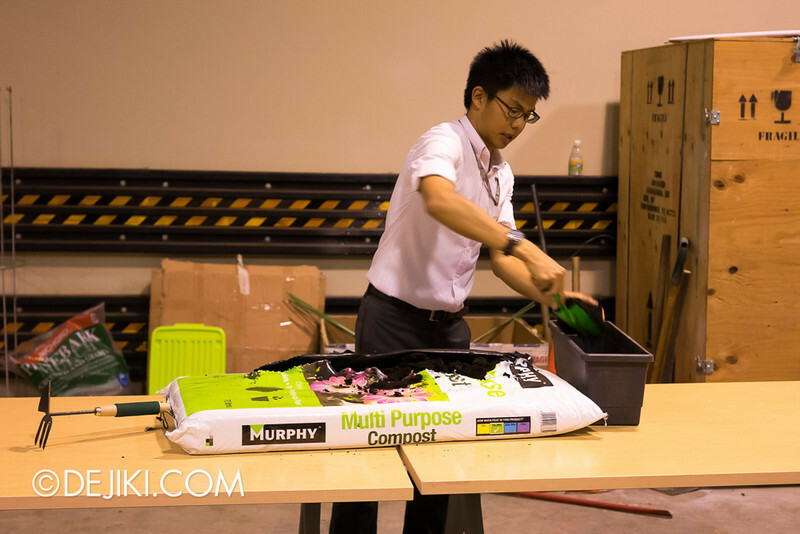 As “Getting Ready” in the post title says, this entry is all about the Gardens preparing for their upcoming floral display. It will be ready from 14 April 2014 onwards. 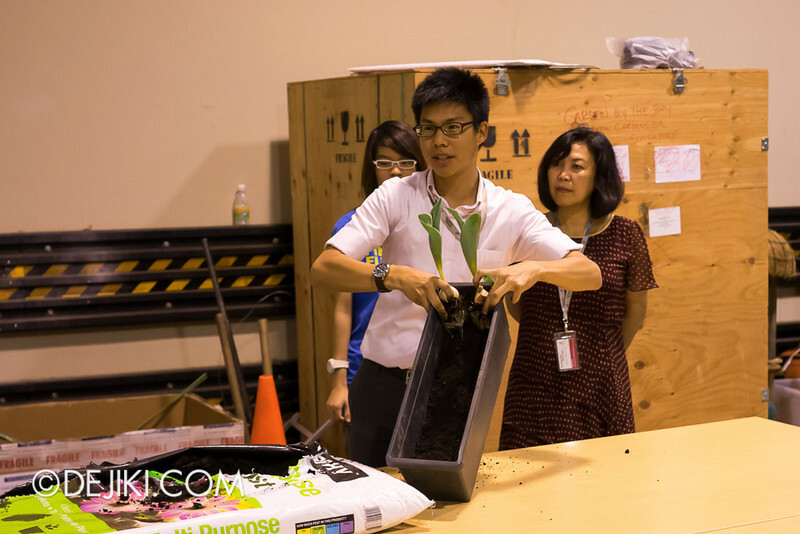 Check out last year’s photos here! Few roses from the War of the Roses remain. 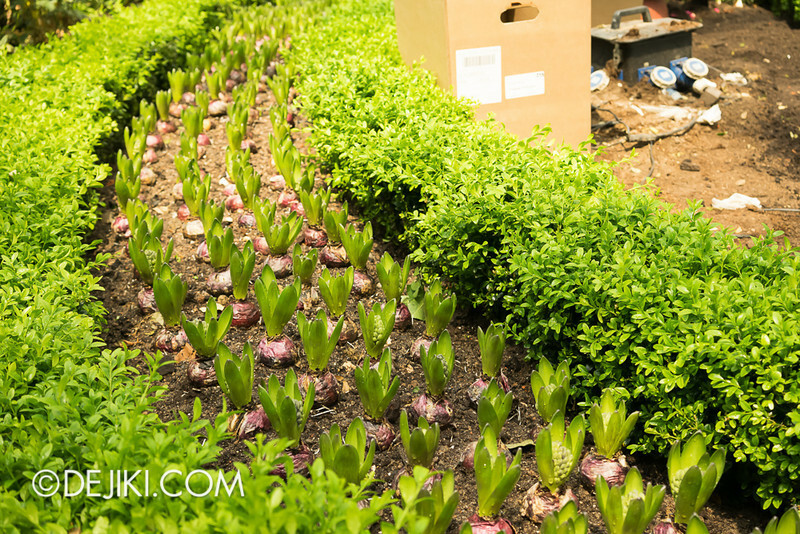 Instead, the fields are now brimming with tulip and hyacinth bulbs. 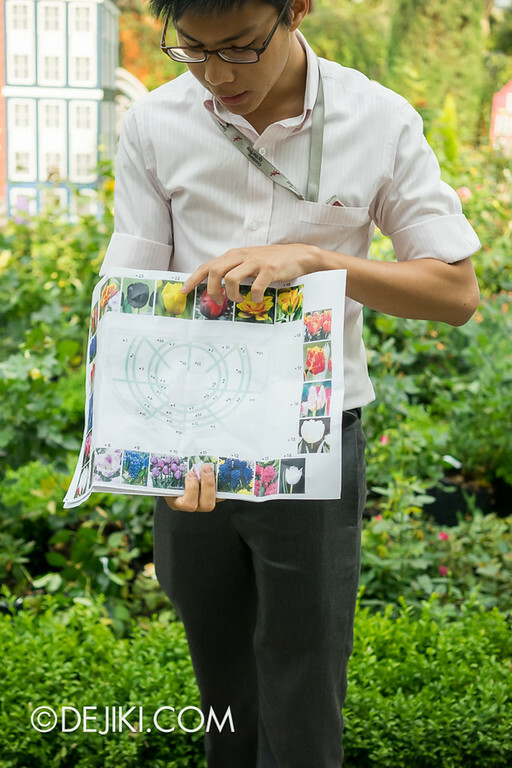 Mihkaail (Manager for Conservatory Operations) shows us the plans for the Tulip Field. 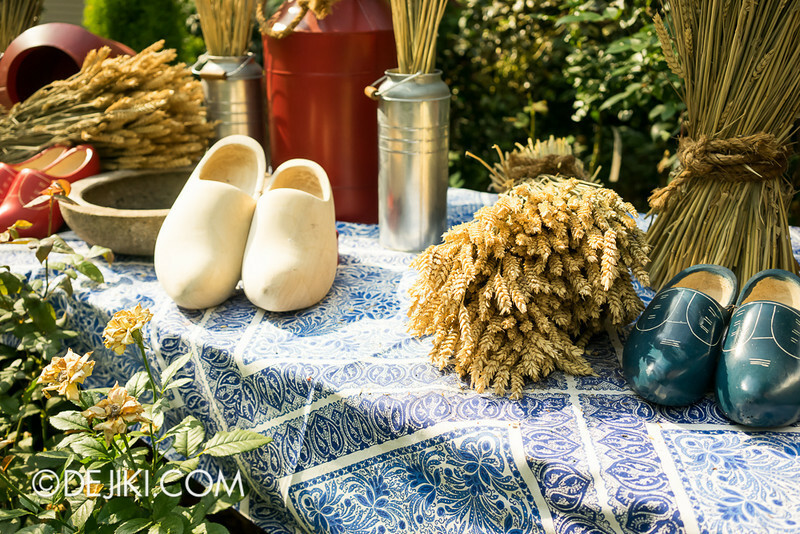 Inspired by the canals in the Netherlands, this year’s arrangement will feature several fields shaped in rings to resemble the famous Dutch waterways. 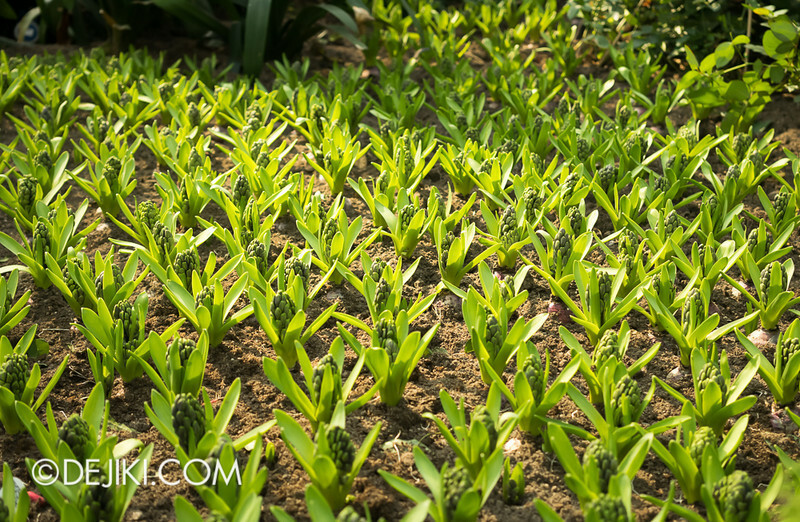 There will be more varieties of tulips this year, for a wildly colourful spectacle. And then the group of us bloggers left for the back of house. 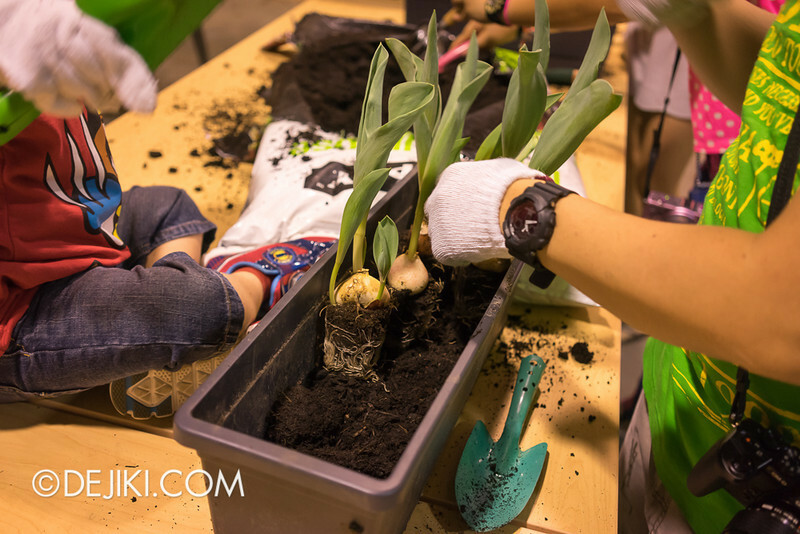 It’s time to plant some tulips! 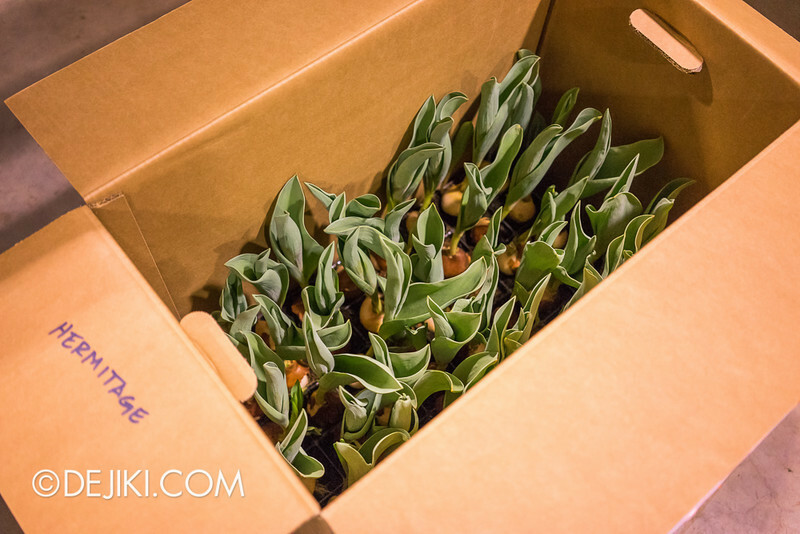 Boxes of tulips (some 50,000 bulbs!) are flown here via KLM. 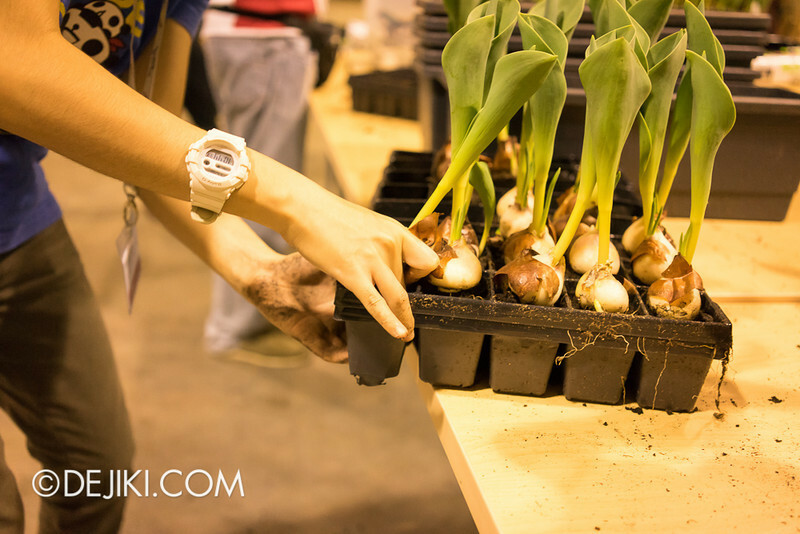 They come in trays like this – all neatly grown in a compact environment. Here’s one removed from the tray. 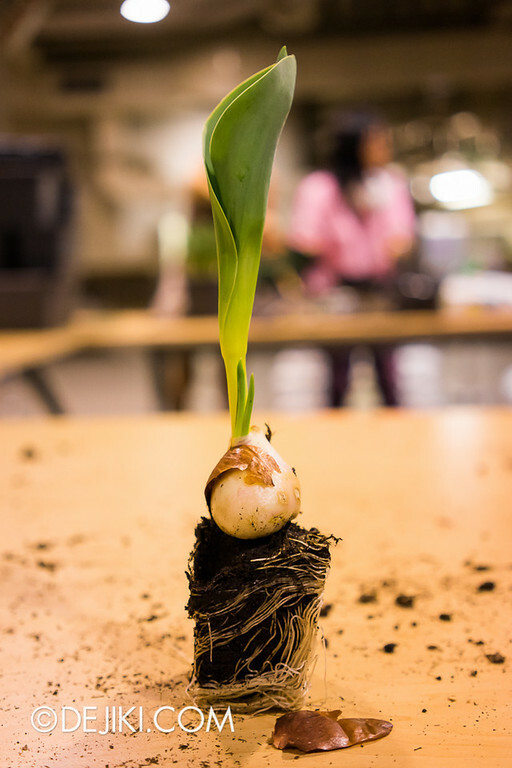 It takes a few years for a bulb to grow to this size. 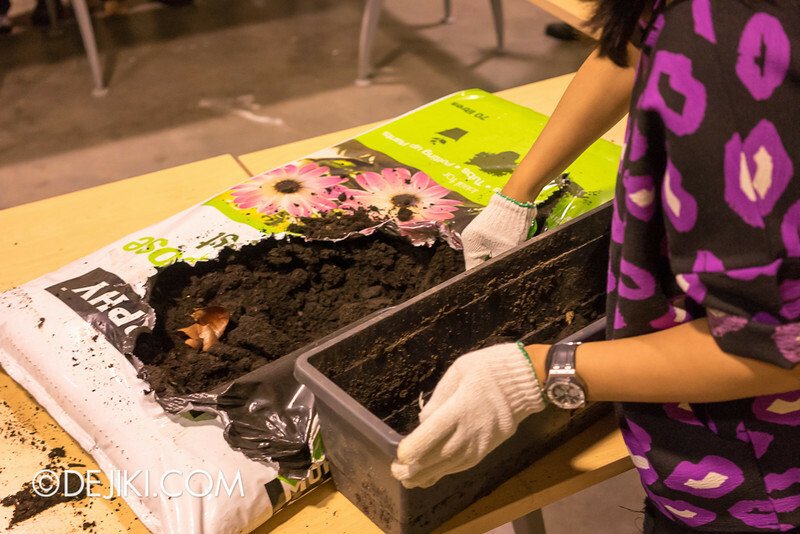 Start by filling a planter with some compost, then place two rows of tulips. 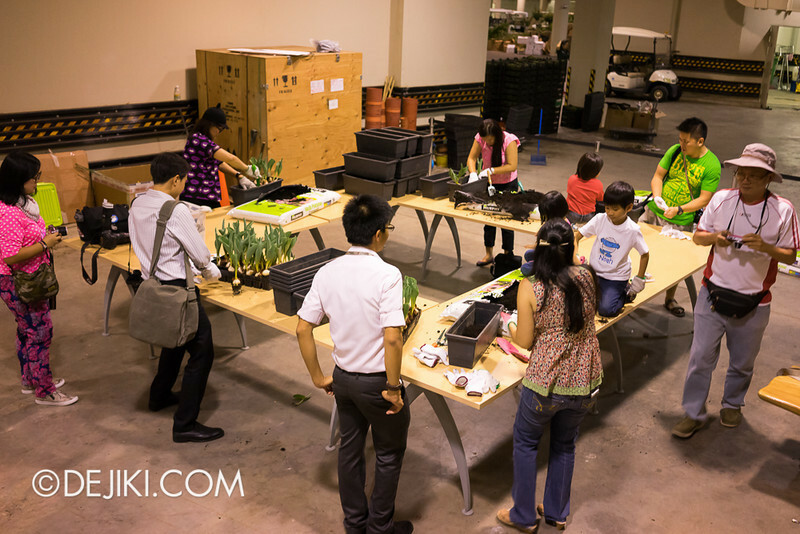 It’s of course, not as simple as it looks, but the bloggers and the kids definitely had a great time! 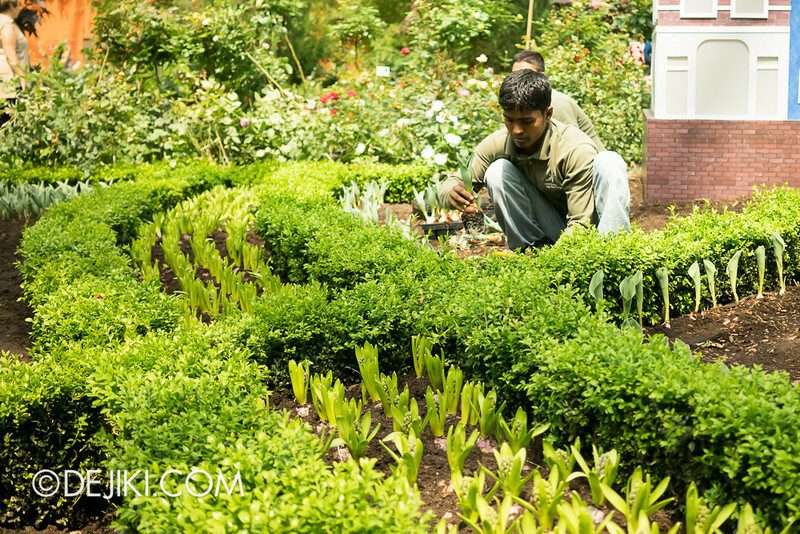 The crew at the Flower Field were hard at work, clearing away remnants of War of the Roses and planting tulips. 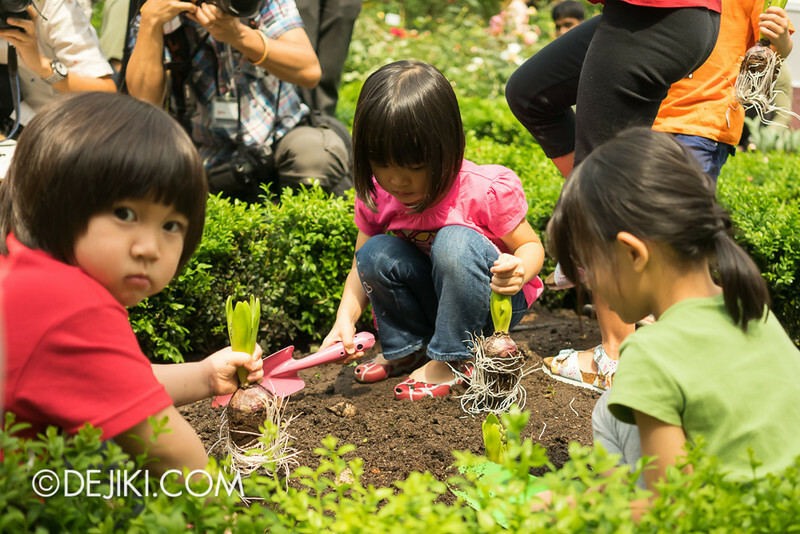 Soon, kids joined in and had their hand in planting some bulbs around the front segment of the Flower Field! 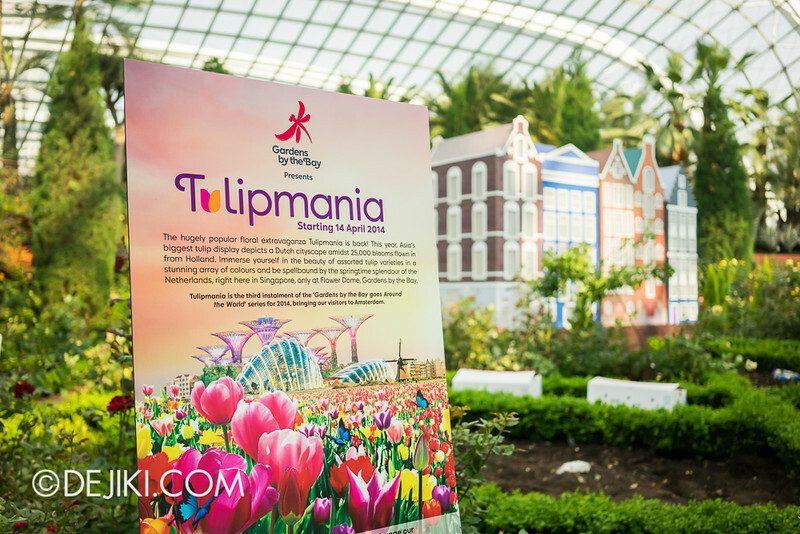 Tulipmania is now in production at the Flower Dome in Gardens by the Bay. 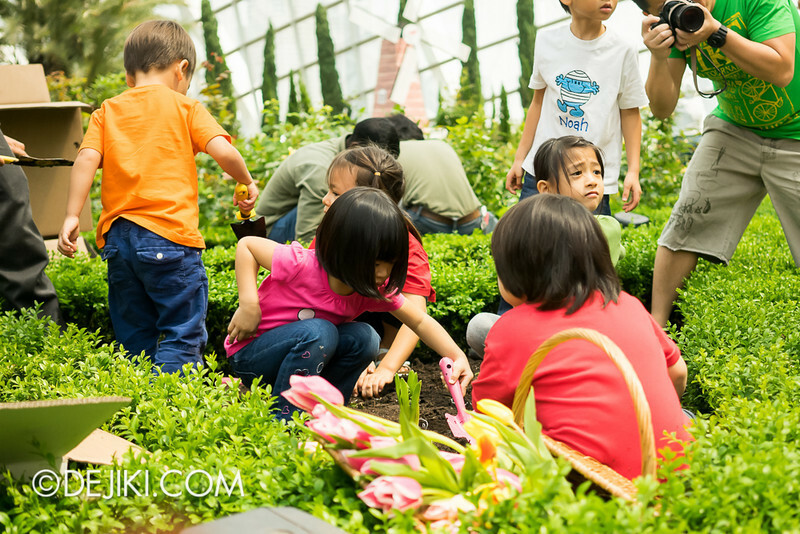 It officially starts on 14th April, and first blooms are expected from 14~16 April onwards. 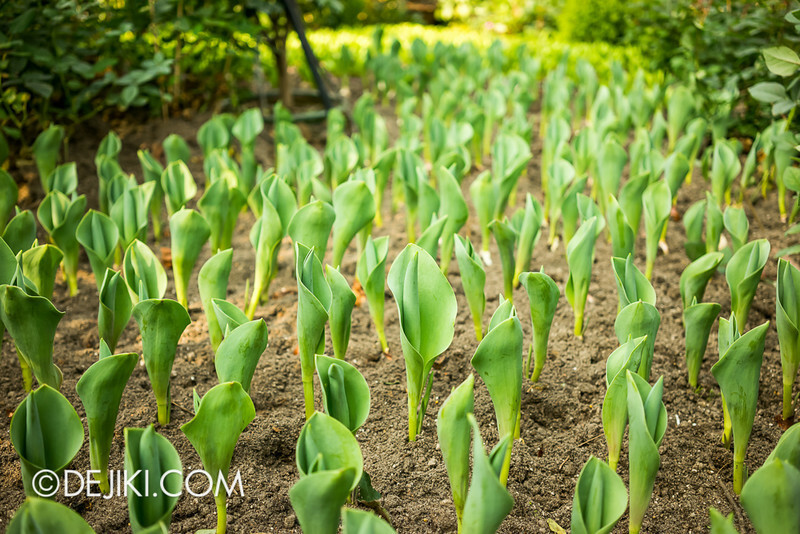 That will be the best time to view the tulips before the cycle of replanting begins. 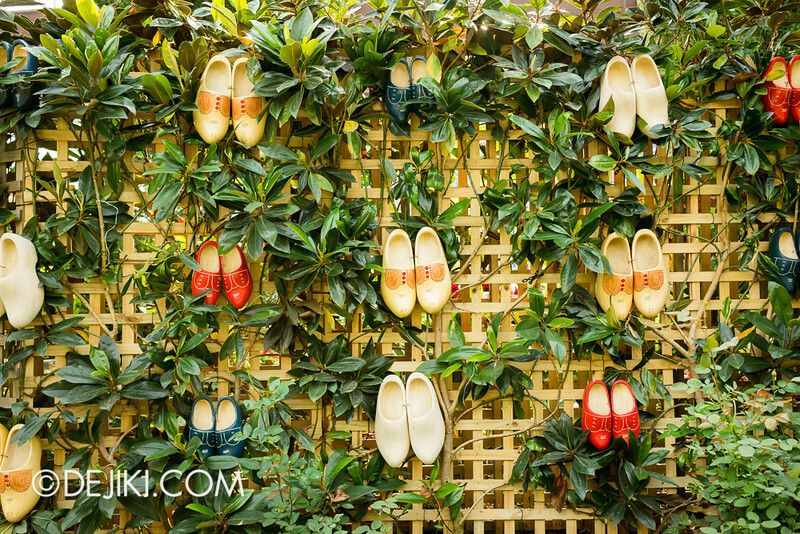 Meanwhile, travel back in time and view Tulipmania (2013).